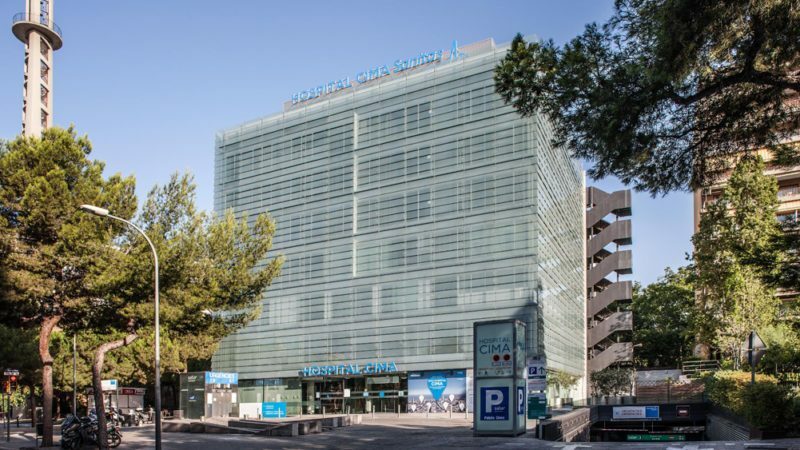 » Portfolio » Refurbishment of external walls of the Hospital CIMA, Barcelona. Spain. 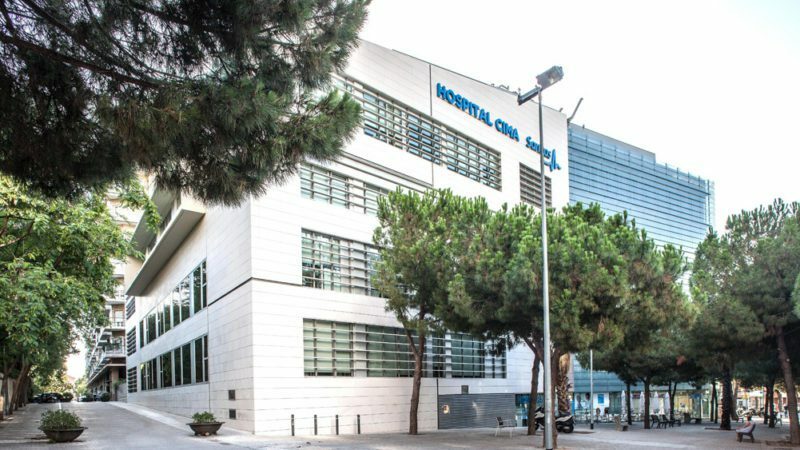 Refurbishment of external walls of the Hospital CIMA, Barcelona. Spain. 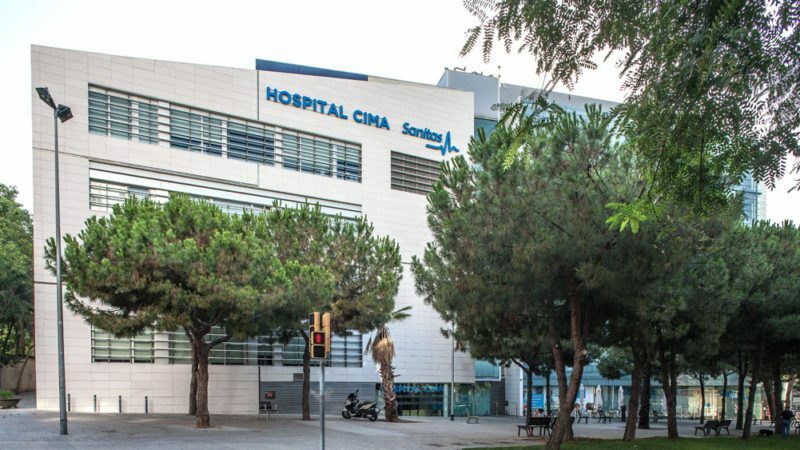 The works carried out at the Hospital CIMA Sanitas consisted of the demolition of the ventilated façade of calcareous stone and the installation of a new stone facade with similar characteristics, solving a defective execution and guaranteeing the safety of the façade. The totality of the stone façade to be replaced affects about 1,250 sq. m. The works were executed through the installation of a supported tubular scaffold, with a work surface of 1,800 sq. m., to a maximum height of 21 m, adjusting to the irregularities of the existing façade. 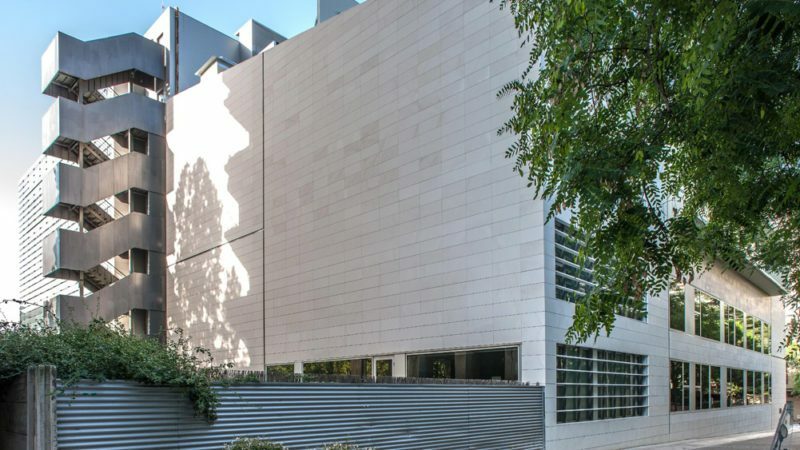 Execution of new ventilated façade through creamy white limestone cladding, format 90x40x3 m making ventilation joints of 5 mm in horizontal and 3 mm in vertical. Façade fixation system with self-supporting adjustable anchoring and retaining anchors made of stainless steel and mechanically fixed to the existing façade. Installation on the interior façade of a building of about 50 sq. m. of sheet metal of self-supporting steel placed through an auxiliary structure composed of omega profile.